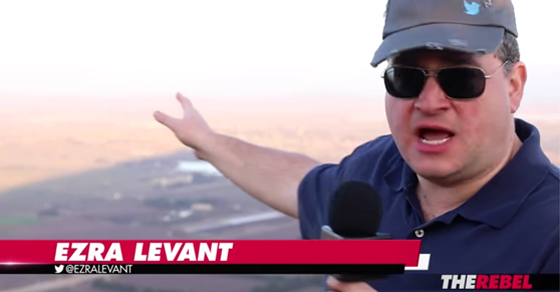 Holocaust videos, Nazi celebrations, calls for a holy war to "retake Bethlehem" and international condemnation – all in just one week at Ezra Levant's Rebel Media. 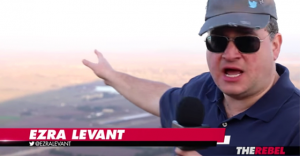 Ezra Levant’s Rebel Media is moving on up in the world, graduating from just an ordinary, run of the mill source of national shame for Canadians to something truly global – an international embarrassment. But not according to Rebel Media host Gavin McInnes – as he tells the story, the whole thing was a “brainwashing trip” that “the Israeli government paid for” along with a group of “mostly Israeli” Rebel Media donors. • He says he felt like “defending the super far-right Nazis” during a visit to the Holocaust museum and explores a handful of myths spread by Holocaust deniers. • He also falsely blames “Jews” for the Holodomor (the mass-starvation of millions of Ukrainians in the 1930s under Stalin) and claims “Jewish intellectuals” helped bring about the rise of Hitler. As you’d expect, McInnes’ rambling Holocaust video was celebrated by neo-Nazis, white nationalists and other members of the so-called alt-right. • He claims Jews do not have a “good attitude” and need to get over the Holocaust. • He compares Jewish attitudes towards the Holocaust to African-American attitudes towards slavery (“It’s like a black guy going: yeah, white people did slavery. Well, they didn’t start it but they ended it so maybe be a little more positive about it”). As the week wore on, word of McInnes’ ramblings finally reached the shores of Israel, with headlines appearing several prominent Israeli newspapers. Meanwhile, back home, CBC Radio asks if Conservative leadership candidates will begin to “cut ties with Rebel Media”? Better late than never. After all, Alexander criticized Alberta Premier Rachel Notley at one Rebel Media rally as Levant’s supporters chanted “lock her up” and appeared at another Rebel Media rally protesting a motion condemning racism and Islamophobia. A day later, Kellie Leitch’s Conservative leadership campaign told iPolitics McInnes’ comments are “un-Canadian” and said McInnes “would not be allowed into the country” under Leitch’s draconian immigration proposals. 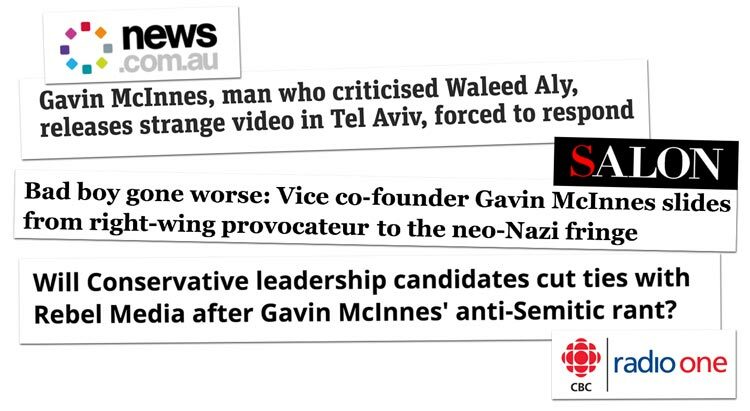 However, despite the fact Rebel Media produced and published the video on their website, Leitch’s campaign refused to blame Rebel Media for McInnes’ video. Her campaign also wouldn’t say if they’ll stop running ads on the Rebel website. Of course, Kenney’s campaign didn’t exactly rule out the possibility of future appearances on Rebel Media either. Sharing the AJ+ video on her own Facebook page, Goldy even repeated her “deus vult” battle cry. 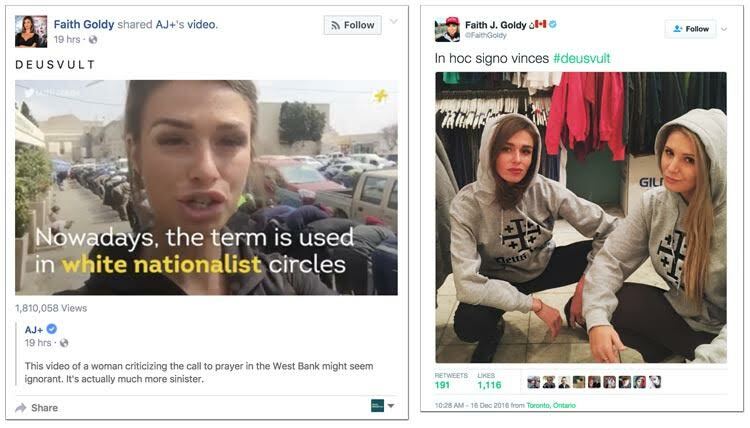 Goldy’s also tweeted photos posing in “deus vult” hoodies emblazoned with the crusaders’ cross alongside her former Rebel Media co-host Lauren Southern – no stranger to the alt-right herself – with the caption: “in hoc signo vinces” (“in this sign you shall conquer”). 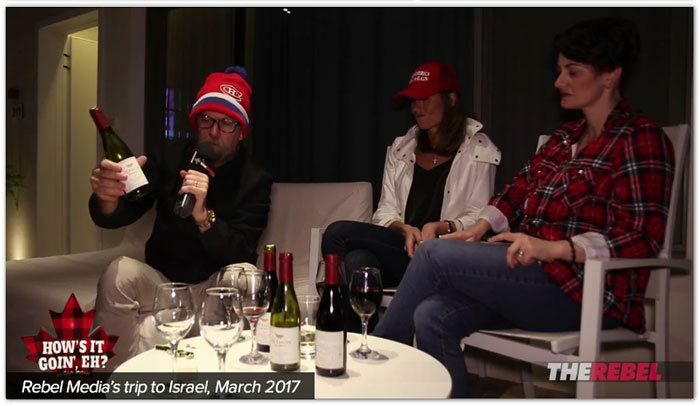 By the end of the week, yet another video from Rebel Media’s trip to Israel surfaced, showing McInnes, Goldy and Alberta bureau chief Sheila Gunn Reid surrounded by several empty bottles of wine. • Goldy: “You know what, for the next humanitarian mission, like, instead of, like, dropping rice packs and, like, beans … Just some, some like, just some deodorant, I think wouldn’t be the worst thing ever” (“Middle Easterners reek,” McInnes adds). • Goldy: “Let’s really get to the crux of the matter, and that’s the fact that we need to launch the next Crusade and reclaim Bethlehem” (“Yeah!” McInnes and Gunn Reid exclaim). 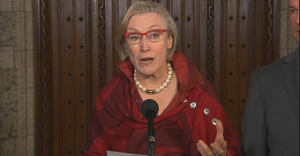 The Government of Canada argues the Canadian Human Rights Tribunal can't force it to close the $155 million funding gap for Indigenous children on reserves. Don’t like a human rights ruling? That’s effectively the Government of Canada’s response to a Canadian Human Rights Tribunal ruling ordering the government to immediately address the $155 million funding gap for Indigenous children in Canada. Back in January 2016, the CHRT ruled that Ottawa is racially discriminating against children living on First Nations reserves, spending 38% less on child welfare programs compared to communities in the rest of Canada.